Financial Access Capital Partners (FA) provides working capital financing to small & medium enterprises in Kenya and Uganda, with most of the companies active in the food processing industry. FA does business under the name of FACTS (Financial Access Commerce & Trade Services) and specifically focuses on the Missing Middle: smaller producers and suppliers that encounter difficulties in finding affordable financing (for their working capital) and who deal with long waiting times to receive their payments. FACTS offers “early payments” to suppliers and will be paid after 30-60 days by the company (the buyer) that bought the goods. This way of working allows small (though established) entrepreneurs to grow their volumes with a factor 5-10x during a period of 5 years. 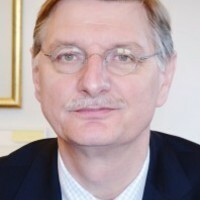 Peter van der Krogt (see picture) is one of FA’s co-founders and the chairman of FACTS. In 2013 FA was invited by the Dutch embassy in Kenya to set up a long-term project that aims to help banks and microfinance institutions to systematically and professionally organize agri-financing. The Dutch Good Growth Fund (DGGF), a fund provided by the Dutch Ministry of Foreign Affairs, allocated money for the development of financing platforms in East-Africa. FA uses DGGF’s seed capital investment and technical support.